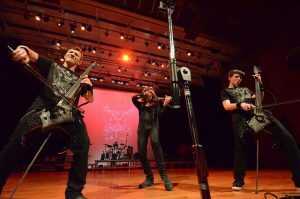 Emil & Dariel Rock Cellos represent a new era in music that join together the past with the future. 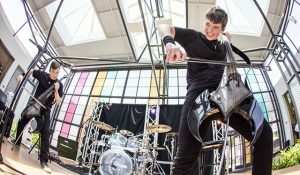 The orchestral rock duo genre bends the classical cello, taking it to new heights; plugging in and ripping out solos with a ferocity that awakens the senses. The teenage rock cello sensation gained worldwide exposure on the NBC-TV Nationally syndicated program America’s Got Talent in 2014. 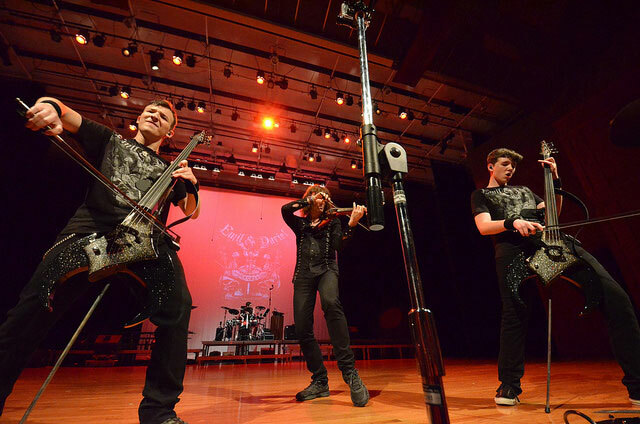 The brothers’ live performance of the Hendrix classic tune- “Purple Haze” created an instant viral video and garnered over 3 million views on YouTube. The boys finished as finalists and became a part of AGT live shows in Planet Hollywood, Las Vegas. Emil and Dariel work for many hours each day exploring new and undiscovered cello techniques, trying to stretch it to unknown depths. The brothers come from several generations of classical musicians. Their extensive classical training comes from their grandfather, Leonid Rubanchik*, Principal cellist, cello Professor, and a student of Piatigorsky. They began playing the cello when they were 4-years old while being home-schooled. Their long hours of practice were under the strict guidance of their grandfather who instilled hard work, dedication, and passion in pursuit of their career. They’re extremely grateful to their grandfather for inspiring them to play the cello and for his selfless dedication in teaching them. They also credit their abilities to years of intense practice, patience, perseverance, and disciplined commitment which has made them worthy of the great recognition they’ve received at such a young age.